I have known fellow Sound On Sound writer Nick Magnus since the phrase 'burning bush' was a biblical reference, not an ambition. And, for the past few years, we have had a little telephone ritual whereby he telephones me and asks "How is one? ", to which I reply, "Not as good as two". Silly, I know, but such is the stuff of human existence. 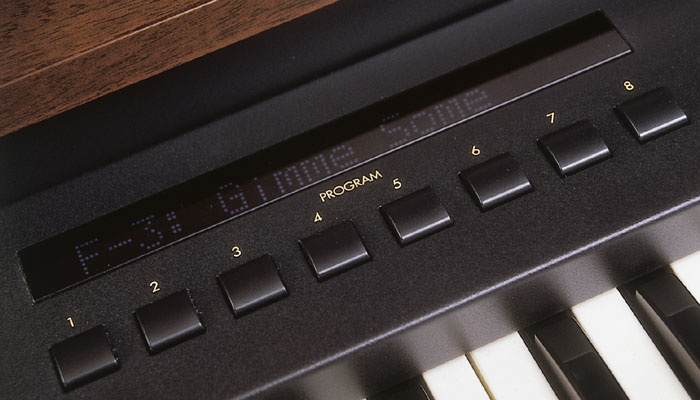 This particular observation, too, is amply confirmed by the Korg BX3, the dual-manual version of the Korg CX3 combo organ that I reviewed in Sound On Sound's January 2001 issue. The sound generator in the BX3 is identical to that of the CX3. So, rather than repeat much of my detailed review of the CX3, I have limited myself to presenting an overview here. If you would like more detail, please refer back to the original review as mentioned above. Despite its elegant 'vintage' appearance, everything about the BX3 is digital, with a set of algorithms that emulates a tonewheel sound generator, and yet more algorithms to recreate the various effects that are so crucial to the classic Hammond/Leslie sound. The basic voicing emulates that of the B3, C3 and A100 models, but with many additional facilities that you can access via a simple editing system. These include 'vintage' and 'clean' tonewheel settings, leakage, key click, percussion settings, chorus/vibrato, amplifier models, EQ, reverb, the rotary speaker effect, and a whole bunch of other parameters that allow you to craft the sound in exactly the ways you want. You are not starved of choices: for example, the Leslie emulation offers no fewer than 17 parameters that allow you to set up and 'mic' the virtual speaker in almost any way that you could set up and mic the real thing. It might look rather like a vintage Hammond in many ways, but that's a throroughly modern LCD...Photo: Richard EcclestoneLike the CX3, the BX3 also offers 'EX' mode, which extends the traditional Hammond voicing by adding a further four drawbars to the sustained sound, plus five new percussion footages. I reported in 2001 that these options improve the basic Hammond 'algorithm' and I see no reason to change my view. The BX3, like its smaller brother, sounds superb in EX mode, especially when you play it as a church or gospel organ rather than as a rock & roll instrument. The only drawback here is that you lose the ability to place different registrations on each keyboard. EX mode places heavy demands on the sound generator, so one sound is all you'll get. On the plus side, the BX3 can even act as a touch-sensitive MIDI controller. But let's move on to the nitty-gritty. How does the BX3 perform next to the real thing? The BX3 comes with a number of demonstration tracks that exhibit its capabilities as a rock, gospel, church, jazz and blues instrument. Each of these is played in glorious three-part harmony, with upper manual, lower manual and pedal parts. But don't let them fool you. As explained in the body of this review, the BX3 has no pedal generator, so I suspect that Korg created them using a set of MIDI bass pedals to play the lower part an octave or two below the keyboard. This might be an acceptable compromise, but it will severely limit your choice of lower registration and almost certainly preclude you from using EX mode. Beware. When it comes to reviewing Hammond emulators, I'm very fortunate. I simply place the instrument in question next to my mint, 38-year-old A100 and Leslie 147, hook up a pair of speakers, and away I go! 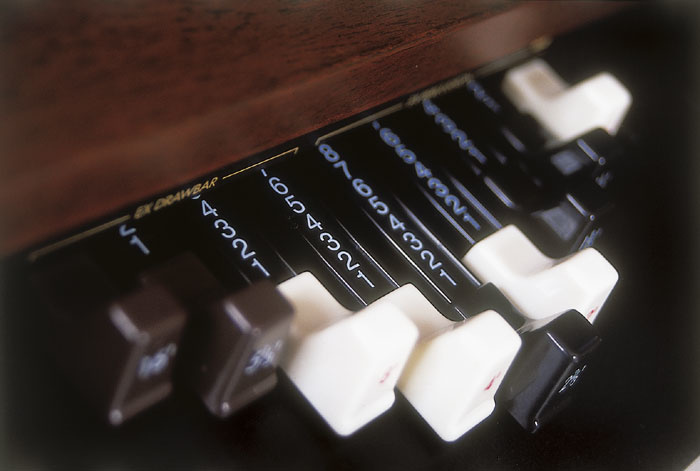 One of the BX3's two sets of traditional organ-style drawbars.Photo: Richard EcclestoneAlthough in isolation the BX3 appears much like a vintage Hammond, it's surprising how modern it looks when placed alongside its forebear. There's something distinctly 21st century about the one, and equally mid-20th century about the other. The Korg is the smaller of the two, being four inches narrower and a smidgen less deep from front to back. The narrowness is, in part, a consequence of the length of the keyboards: while the Hammond boasts a pair of six-octave manuals (the lowest octave of each being the twelve presets for that manual), the Korg sports dual five­octave manuals with a small control panel to the left of each. There are other differences, too. For example, the Korg has just two sets of drawbars above and behind the upper manual, whereas the Hammond has four. But, bearing in mind that these sets of drawbars were the only easily 'programmable' memories on a Hammond, and the Korg has 128 of those, I'd have to say that the loss of the duplicate sets is not a problem. The space thus liberated is taken up by the screen and programming controls. To the far right of the main control surface, you'll find the percussion controls on both instruments, and these perform in exactly the same fashion on each. To the left, there are the chorus/vibrato controls, and these too are the same on both organs. The only difference here lies in the volume control to the extreme left. On the Hammond, this is a two-position switch with Normal and Soft settings; on the Korg it is a knob that ranges from 'Min' to 'Max'. Simple EQ controls situated on the lower keyboard add the potential for quick and easy treble and bass tone shaping.Photo: Richard EcclestoneWhere the Hammond's preset keys lie, the Korg offers three buttons for each manual. These access drawbar set 1, set 2, or the memories. This area is also where you will find the pitch-bend and modulation wheels. At the bottom of these panels are the Leslie controls — On, Stop, and Fast/Slow. Every Hammond player will be comfortable with this placement, because it's where almost everybody mounted the crescent-shaped Leslie controls on the original Hammonds. At the back you'll find the MIDI, Expression pedal and two additional assignable pedal sockets.Photo: Richard Ecclestone Around at the back, the BX3 offers three pedal inputs that allow you to control various parameters. And, unlike the CX3, the BX3 comes with its own swell pedal, the OXP1 Organ Expression Pedal. This is particularly chunky and has a reassuringly full action, making it very satisfying in use. However, it has two extra attributes that may not be immediately obvious. Firstly, you can adjust the angle of the whole assembly to accommodate seated and standing playing positions. Secondly, the OXP1 has a 'standard position' to which it will it return after you press it even further for fortissimo passages. This allows you to emphasise parts of your music, knowing that the BX3's volume will return to your preferred level when you remove your foot. Bravo, Korg! I have only two serious criticisms of the BX3. Firstly, it has no multi-pin output for a genuine Leslie speaker. This is a shame because, good though the on-board effect is, there's nothing that sounds quite like a 147 or 122RV in full flight. You can overcome this if you can lay your hands on a Leslie that has been modified to accept a standard quarter-inch input, and which offers independent on/off and speed controls, but it's a shame that you should need to. My second serious criticism is that the BX3 has no provision for a dedicated pedalboard and, because it has just two sound channels, you cannot add a MIDI pedalboard to play a third part. The best you can do is use MIDI pedals to play the lower registration an octave or so below the lower manual. Given that the Hammond XM series and the Oberheim OB series offer three parts, I'm not inclined to forgive Korg for this. 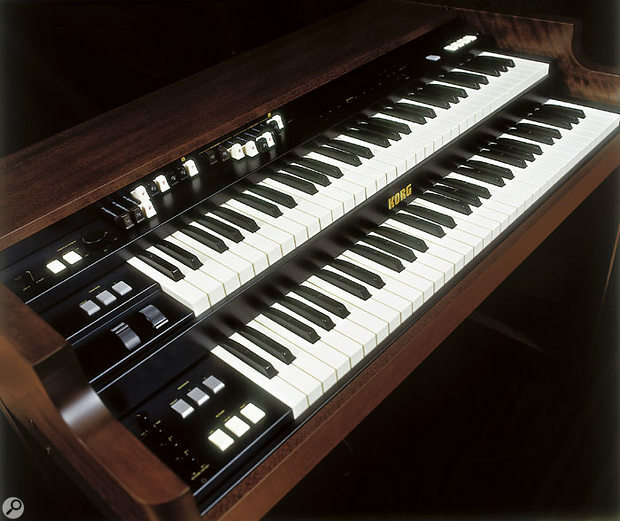 To be fair, Keith Emerson and Jon Lord wannabes are not going to worry about it but, unlike the CX3, the BX3 is also aimed squarely at church players and club organists, for many of whom it is made singularly unsuitable by this omission. A couple of minor criticisms, also true of the CX3, include the lack of an effects loop that would allow you to insert a valve overdrive into the correct place in the signal path. 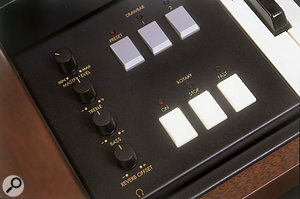 Korg's original, analogue CX3 and BX3 had this, so it's a shame that the modern versions do not. Then there's the continuing absence of a spring reverb setting, which would make the Hammond/Leslie impersonation even more realistic. Nonetheless, the BX3 is a joy to play. I cannot fault the layout of the controls, and the editing system is in a different league to some of its competitors. Likewise, the sound it produces is 'the real thing', and I have no difficulty turning from my A100 to the Korg BX3, and back again. I can hear the difference, but only when the two are next to each other. Anyway, that's not the point. They both sound superb. In particular, the key-click and 'spit' of the BX3 is superior to any other digital organ I've played (and I've played most), and its chorus/vibrato is almost indistinguishable from the Hammond's. Meanwhile, in EX mode, the additional harmonics and percussion pitches make the BX3 more flexible than any original Hammond, let alone its digital competition. Back in January 2001, I predicted that a dual-manual version of the CX3, which would compete with (and beat the pants off) the Hammond XB5, the Oberheim OB5 and the Roland VK77, would appear. Korg have now delivered, and if you're going to restrict your playing to two manuals (as I suspect most organ-loving Sound On Sound readers will) I suggest that you use the Korg every time. However, if you're a gospel organist, or still playing tea dances in the ballrooms of the world, the lack of pedals and Leslie outputs may well exclude the BX3 from your shopping list. The best Hammond C3/B3/A100 emulation I've heard. Excellent editing system with a large, friendly screen. First-class on-board treatments and effects. 'EX' mode is a superb extension to the original Hammond algorithm. Bi-timbral, so you can't play two manuals plus pedals. The BX3 would be the best Hammond emulator on the planet were it not for its lack of a pedalboard and Leslie output. If neither of these omissions bothers you, it's still the best there is. But if you want to play with your feet, or plug a Leslie directly into your organ, you'll have to look elsewhere. Korg UK Ltd +44 (0)1908 857100.